Go ahead, have Christmas in July. 8mm was developed in 1932 by Kodak for the home market as a less expensive alternative to 16mm. 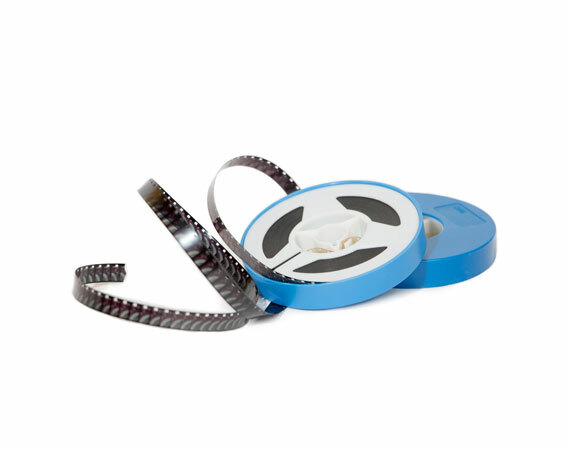 By cutting 16mm film in half, Kodak was able to create a new format with an existing material, doubling their profits. Super8 film was designed as an improvement of 8mm film. It produced a higher quality picture as the sprocket holes (the small square openings on each side of the film frames) were reduced for more image area. Super8 introduced of sound by including a magnetic coating on the side of the sprockets. Many love the charm of 8mm film. Even so, projectors have become hard to find. Even if you have a working projector, they can cause many problems The projector could “eat” the film, or burn it with the hot bulb. Improperly stored film can gather dust or grow mold. Los Angeles Video Transfer Service treats your film with the respect it deserves. We clean the film to reduce dirt and dust. Then, we capture it frame-by-frame with our state of the art scanner. We provide standard or high definition scans, and can place them on a special DVD with an interactive menu, or create digital files. So now you can crank up the AC and relive “Christmas Morning, 1952” on a Saturday morning in July.